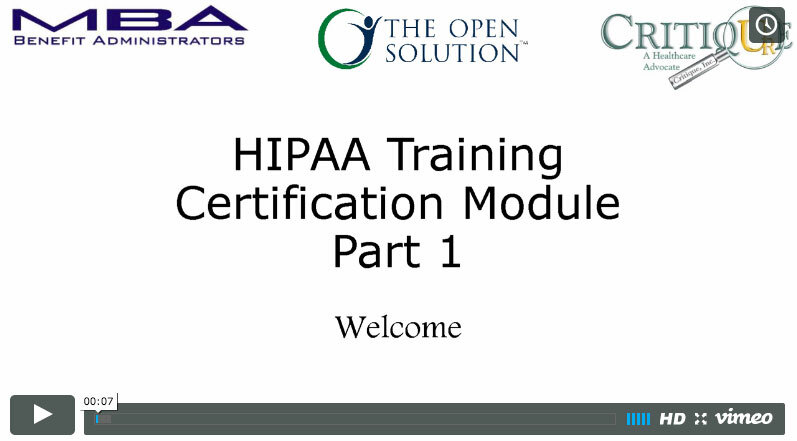 Take part in our revamped 2 part HIPAA compliance training course. This course is intended for employees and partners of MBA Benefit Administrators, Inc. 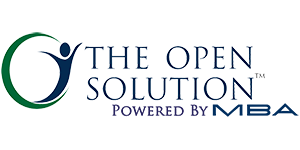 It includes updated information regarding breach notification laws, the final ruling on non compliance penalties and new information on from the HITECH ruling. 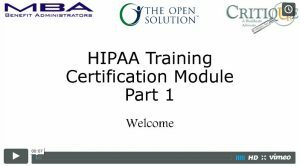 This course has been broken up into 2 parts, each about 15 minutes long, with a short, randomized 10 question, quiz at the end of each video training session. Once you have passed the first section with a score of 80% or above you may move onto the second session. Once completed a certificate will be available to show completion of the training.